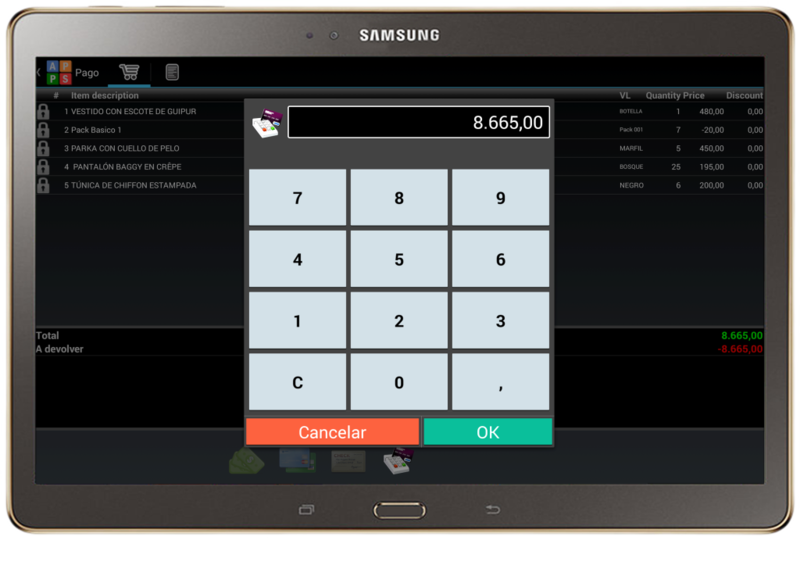 Axional POS is a modern point of sale terminal designed specifically to be used with latest-generation smartphones, Android tablets and POS, equipped with high-resolution screens and high-performance computing capabilities that breaks the classical mold of big and heavy cash registers. 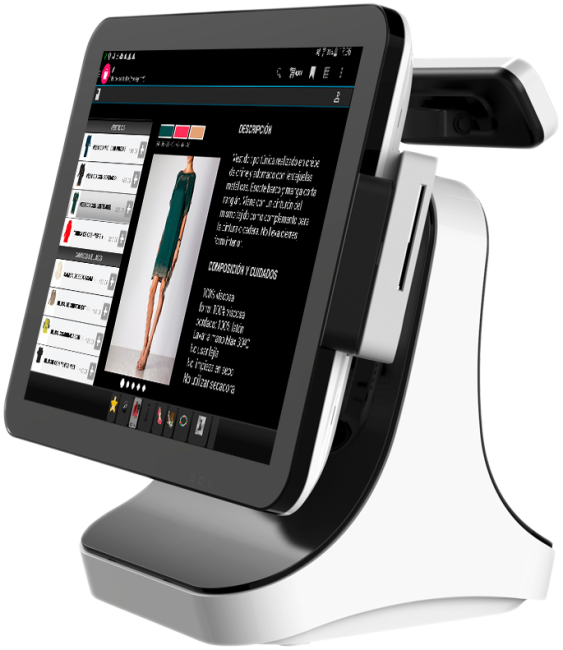 In place of a costly, impersonal lineup, imagine a point of sale in the palm of your hand. 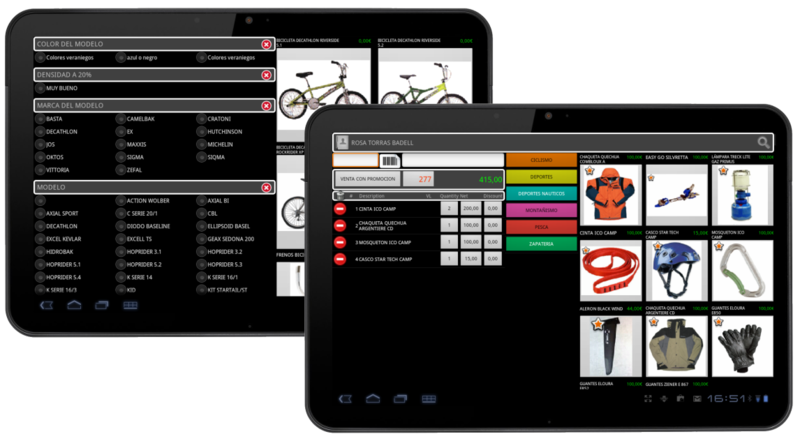 With the flexibility of Axional POS running on latest-generation mobile devices, you can change the way you interact with customers. 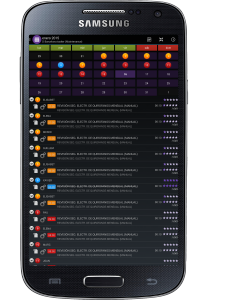 This solution incorporates functions only available in centralized computer systems, simultaneously providing a rich user interface system and preserving offline operational capabilities to guarantee uninterrupted sales operations. 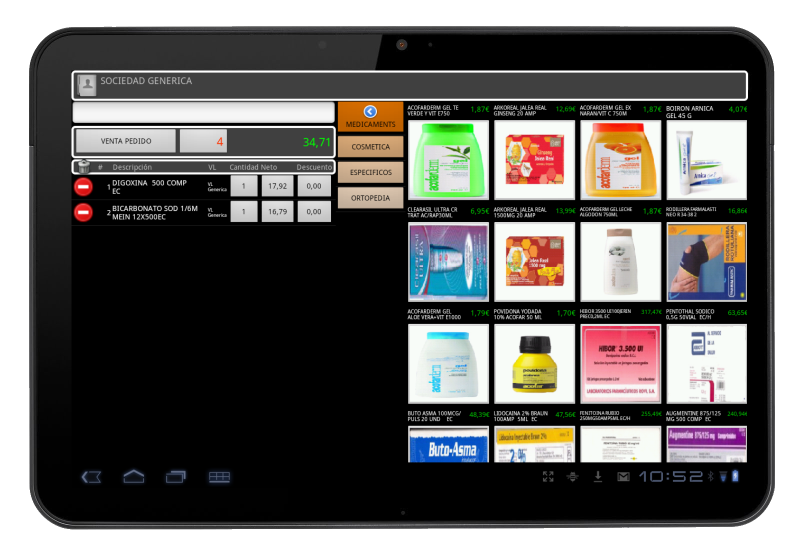 Axional POS offers a real sales model advantage compared to the competition. Faced with traditional retail systems and impersonal points of sale, a simple smartphone can not only perform fast offline transactions, but also process complex operations synchronized with central systems. 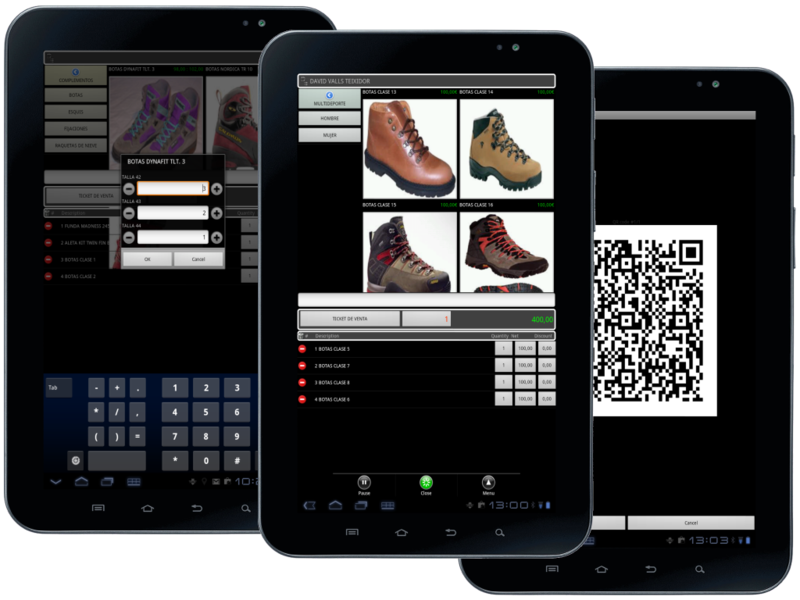 Performing traditional sales operations with barcode scanners and receipt printing on web-linked printers. Select items using family trees, product searches or character filters. 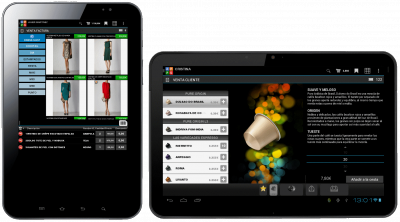 Provide customers with catalogue functions with galleries of high-definition images, video and even item visualization with 360 degree rotation. 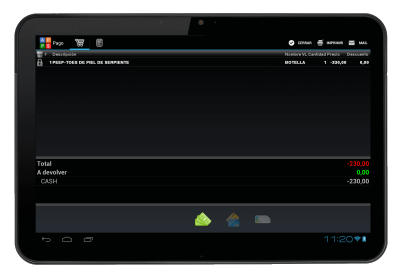 Consult the central inventory, reserves, or check delivery status. Process payments, accept on-screen signatures, send receipts by email or generate PDF 417 transaction codes for later collection of materials, or make payments to central accounts. 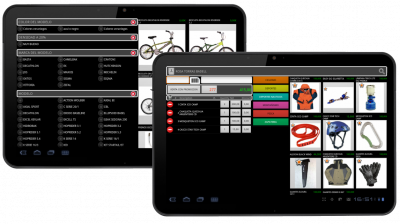 Axional POS provides a flexible sales interface based on different layout configurations, adapted to the type of product and its categorization by family. 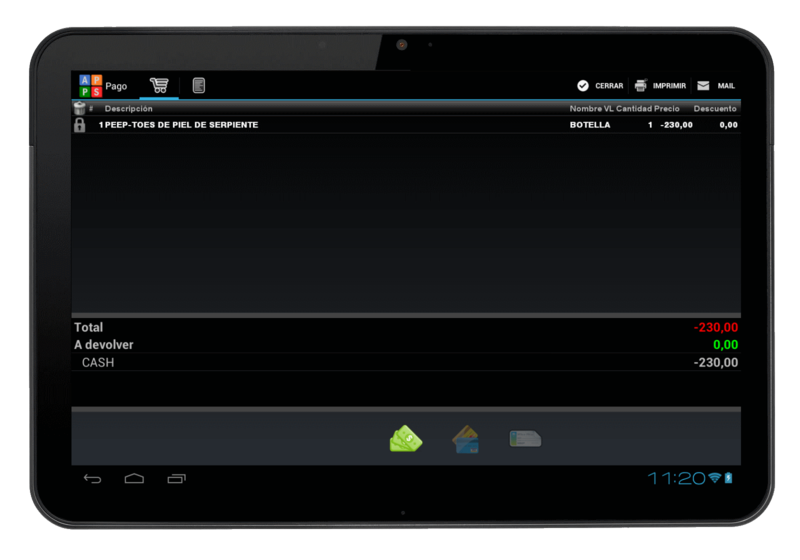 Each of these layout views can be used on a mobile device of any size. FamilyCart. Two-level gallery of items with integrated cart. For each item family, a vertical scroll sidebar presents all items sequentially grouped by the next category level. User can switch from one family to another through a families bar. 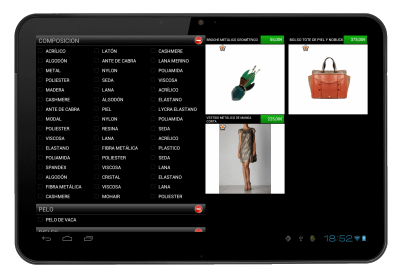 When checking an item, its individual image is shown along with a detailed description. Button allows you to increase quantity selected by a multiplying factor. FamilyTree. A navigational tree with multiple programmable family levels. Based on a hierarchically structured family tree, user can drill-down to reach the desired category (including sizes and colors). Items are presented in a tiled frame showing images, descriptions and prices. Barcode. Rapid data entry by use of a barcode reader. Direct selection of articles by use of a reference code, such as EAN, DUN 14, etc. Barcode reader integrated with the mobile device. 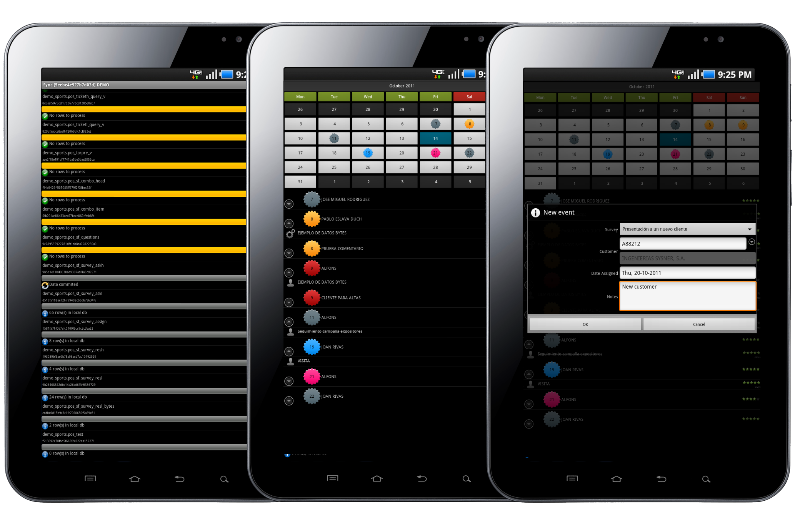 Axional POS is intended for organizations with their own stores as much as for franchise holders, handling the management of each franchise individually or sharing data for a consolidated global view in real time. 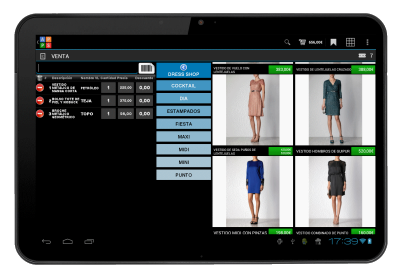 The use of a mobile device or tablet as a point of sale makes it especially useful in areas where the relationship with the customer requires more interaction (clothing stores, jewelers, opticians, perfume houses, workshops, electricians, pharmacies, etc). Allow multiple vendors per terminal with language adapted to their profile. Monitor clock-in and clock-out, etc. Management of employee profiles with special authorization to accept price modifications, etc. Using a camera scanner or Bluetooth. 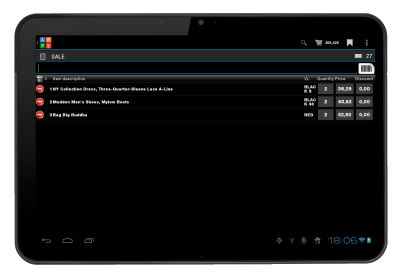 The system automatically keeps a list of best-selling items accessed in just one click. An item catalog to visualize associated information with an image gallery, videos, images in 360 degrees, PDF documents, etc. The ability to keep and recover receipts. Print formatting of adaptable receipts. Reprinting of receipts when needed. The ability to cancel receipts with associated auditing. 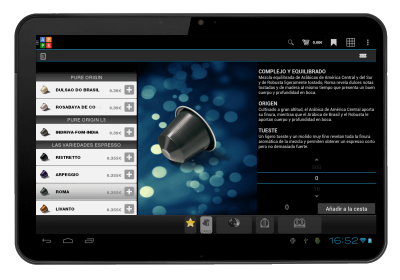 Centralized management of sales promotions with the ability to change business logic in real time. Real-time tracking of sales promotions’ effectiveness and evolution. Instant fine-tuning of promotional rules when needed. Gift of X units per each Y units of a product, family, or manufacturer. Percent of discount, value of discount or gift promotional units. Variables based on a sliding scale of units and prices. 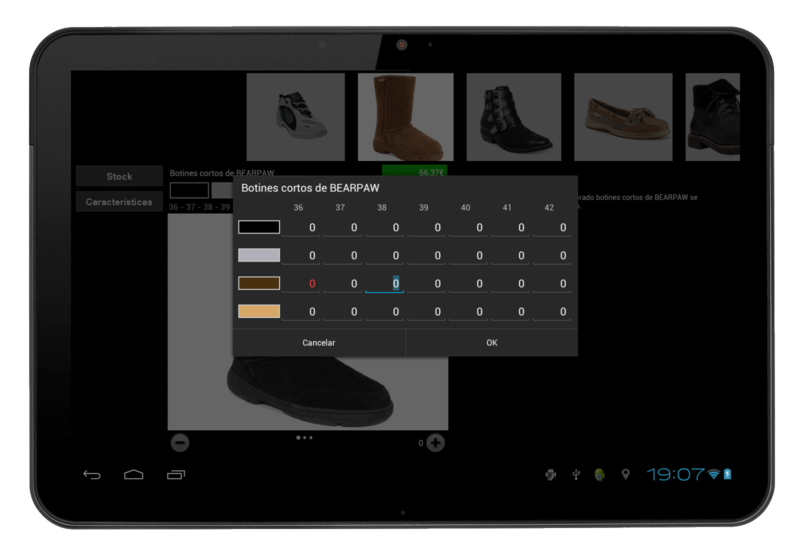 Real-time control of returns ensures that units returned match the quantity shown on the receipt. The sales price is refunded rather than the current price at the terminal, taking into account any possible discounts and/or applicable promotions applied to the receipt. The system controls whether returns must be accepted only in the original store where sold. It also supports partial returns, refunding of a monetary value, and issuing a voucher with an expiration date to be used on the next purchase. A product code can define a set of available ranges of sizes and colors. Prices can be defined as a model, allowing specific customization for a determined size and color pair. Stock level is tracked, taking into account sizes and colors by model. 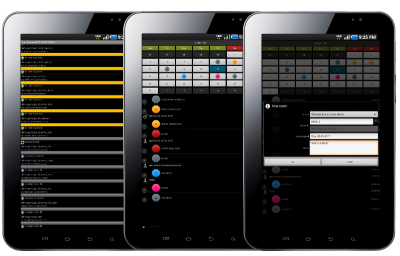 Handling of sizes and colors allows unique EAN code generation for each size and color pair to allow for individual tracking. The system balances the register by form of payment and has a cashing-up function at the end of each shift or day. Against risk allocated to companies or recurring customers. Billing at the end of the month or the period when sales on credit have gone through. From a point of sale, sales invoices can be generated (as well as later dispatch of records for purchases superior to applicable tax regulations). Coupons and vouchers may also be issued to be exchanged in later sales. Axional POS manages effective cash withdrawals. 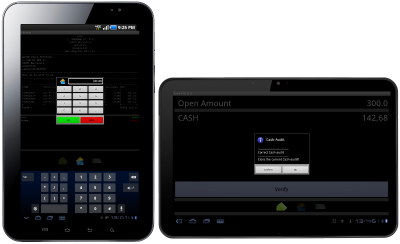 While closing the register, only the remaining cash is included, and the system takes into consideration any previous withdrawals during the activity period. También permite la gestión de los pagos que se pueden realizar desde el punto de venta, a fin de pagar pequeños gastos. En estos casos, emite un ticket por cada pago realizado y realiza el registro contable. 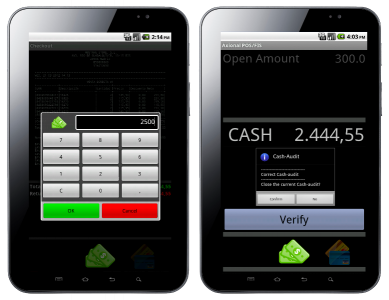 Moreover, Axional POS allows payments for small expenses to be made from the point of sale, issuing a receipt for each payment and creating a corresponding accounting entry. Individual VAT accounting for the receipts generating an invoice. Receipts itemized by charge type with receivable account generation, when required. Account generation of differences between theoretical and declared amounts. Accounting for the register’s spending. Accounting control of promotions and credit amounts on gift cards. Automatic cashflow accounting record for forms of payment which require later reconciliation, such as credit cards. From a point of sale, new customers can be registered and users can consult the purchases made by a customer, their available credit and the refund balance. A record of complaints and claims can also be created. be done. 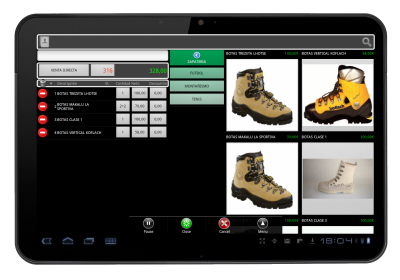 The tasks can be simple notifications (calling a customer) or may require data entry procedures (inventory). A task can contain templates specifically adjusted to the needs of the organization. Templates may contain alphanumeric data or even captured photos or video (e.g. taking a picture of an outline or a product defect). 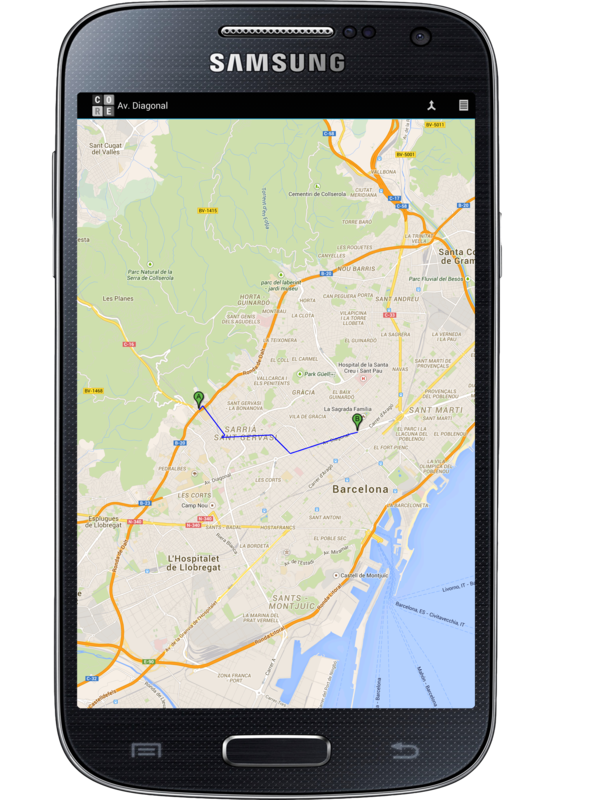 The central system has a tracking system of the execution of tasks immediately completed. Items sold by the end of the day are restocked with the same number of items. Items that are below safety stock levels. 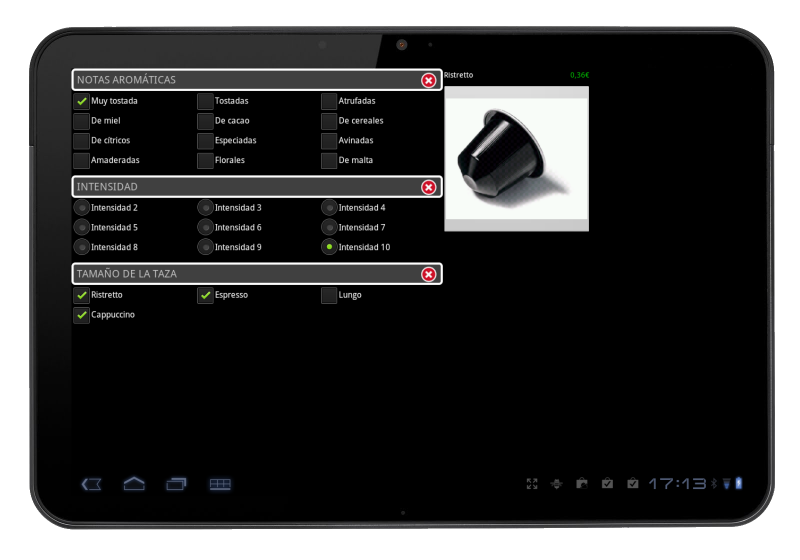 In this case, the safety level is configurable for groups of stores and families, down to an individual store or item level of detail. The receipt of merchandise following a purchase order. The receipt of goods following an order from another store or the central warehouse. Returns to providers or the central warehouse. Use of own products by employee. Centrally-controlled management of refunds of items and quantities. Product reservation, which includes: accounting of amounts traded in, items reserved, sales completed in subsequent days and control of reserved stock. Item repair or mending (for jewelry or fashion) including: receipt of the product to be mended, delivery receipt to headquarters or workshop, and control of receipts from external workshops or warehouses. Also includes notification of the price of work, delivery from the warehouse or workshop to the store, automatic email or SMS notification to the customer that the item has been received, and payment collection. Operations not connected with sales. Registering and managing loyalty program customers. Generating named or generic loyalty cards. Supervision of home deliveries, cash on delivery and process flow management. Payment management in the terminal of invoices sent by the central system (monthly division of sales made to industrial clients or sales on credit). 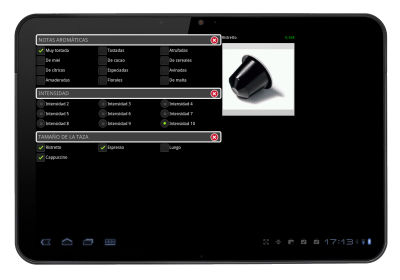 Axional POS allows for the natural operation of Bluetooth scanners and wifi printers under the LPD protocol. 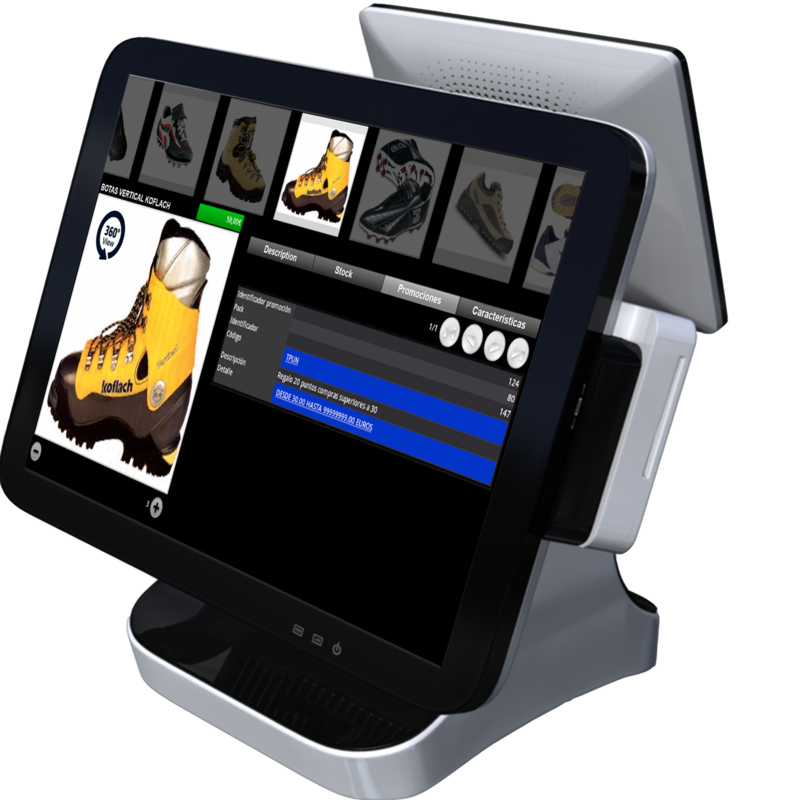 For operations to the cash till, a printer series or a display, Axional POS can dialog with a module hosted in the computer which manages the hardware and serves as a gateway for orders sent by mobile phone. 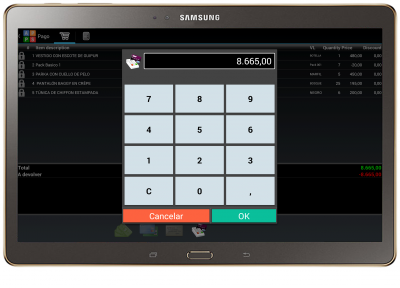 Because of this system, a simple phone or tablet can carry out sales operations and arrange the cash till opening and closing, using only a wireless connection and protecting the preexisting hardware. Sales by store, section, family, article, etc. Comparative analysis against other fiscal periods. Sales statistics by time slot. Tracking of payments to accounts. Sales objectives can be defined for each store to enable real-time performance analysis. Objectives can be set as: sales value, profit amount, profit margin, units sold, number of transactions, etc. Moreover, they can be set at different levels including: country, area, store, customer, brand, manufacturer, family, article, model, etc. The system allows objectives to be defined for a year, but can also make proposals for lower levels (monthly, weekly, daily) using seasonal statistics of previous years. 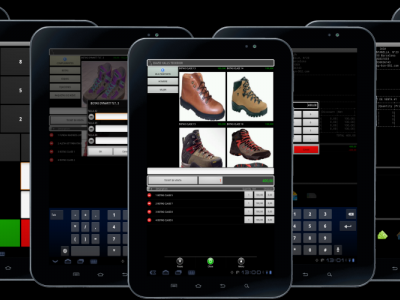 The system’s design allows for connection with any preexisting ERP system using a data synchronization model specifically designed for retail environments. The sync policies, once adjusted, maintain the daily data flows. But how to resolve the need to respond to unexpected changes in price, or unforeseen sales promotions? 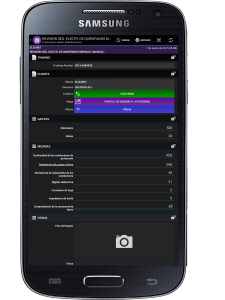 The system keeps a SMS monitoring service of authorized phones, which lets the central servers operate on mobile without the intervention of the user. The need for the point of sale to operate without interruption concerns organizations which are used to high rollout and maintenance costs. 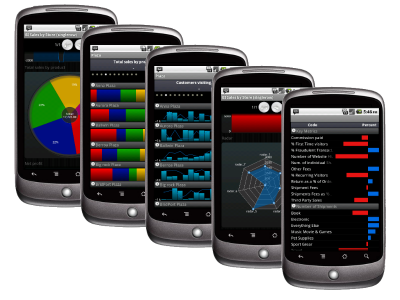 That’s why each mobile device works autonomously and intelligently with a replica of the vital data on the SD memory. No in-store central computer is needed, so administration is centralized. The system can easily scale up from just a few terminals to hundreds or thousands. The terminals are autonomous by nature, except for those operations which require realtime consultations. 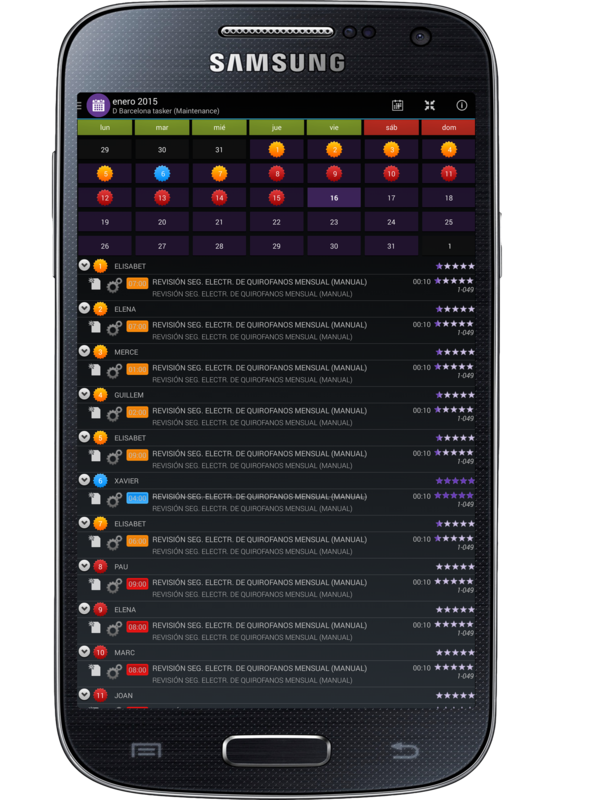 Axional POS allows organizations to monitor the evolution of their sales in real time, even fine-tuning management rules to adapt to the needs of the moment. 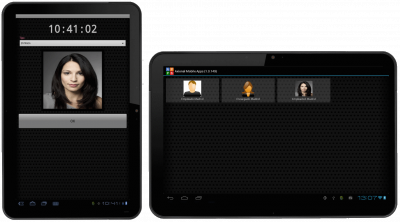 Take advantage of the wide variety of types of Android terminals from multiple manufacturers. 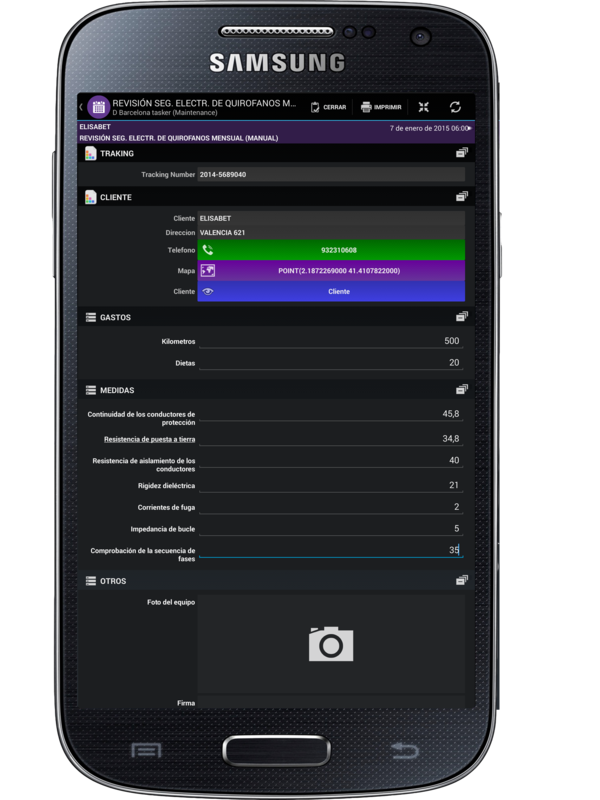 Drastically reduce the learning time of vendors by using a popular and universally accepted interface. 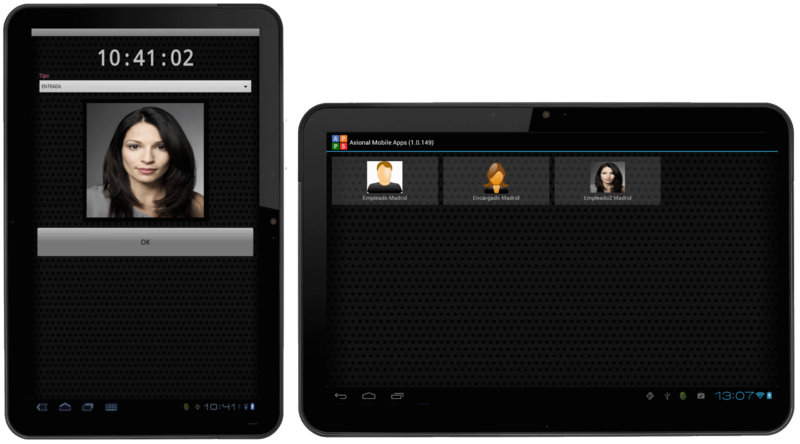 Allow for alternative terminals during peaks in demand, using the same phones as for calls. 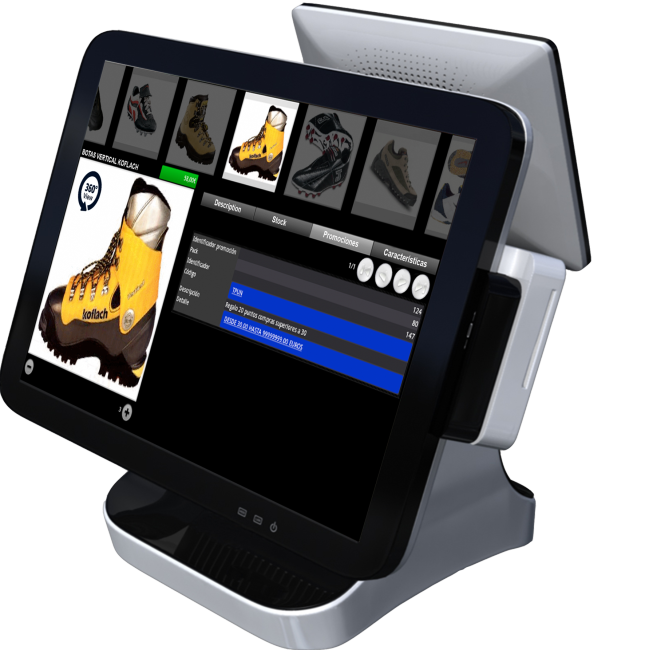 Take advantage of existing hardware (display, cash till, and printer). Minute-by-minute tracking of sales and the effectiveness of promotions, allowing for dynamic adjustment. 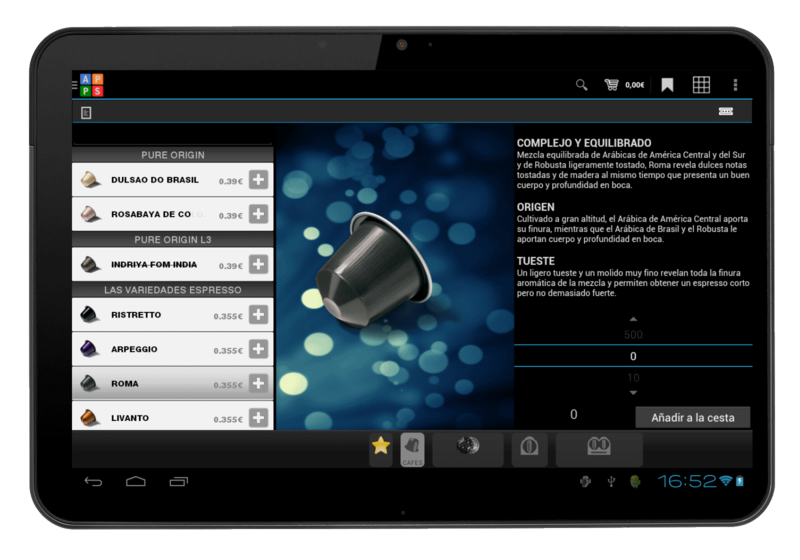 Reduction of errors in the application of discounts. Multiple devices can offer distinct sales models: fixed terminal, mobile terminal for guided customer assistance, and even a customer’s terminal. 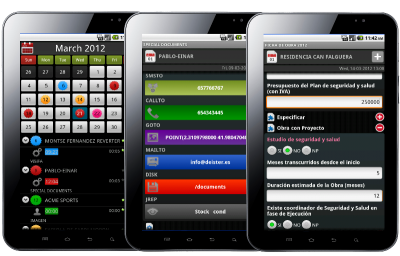 Reduction of time dedicated to inventory management and back office tasks. Reduction of costs due to inventory amounts not matching need. 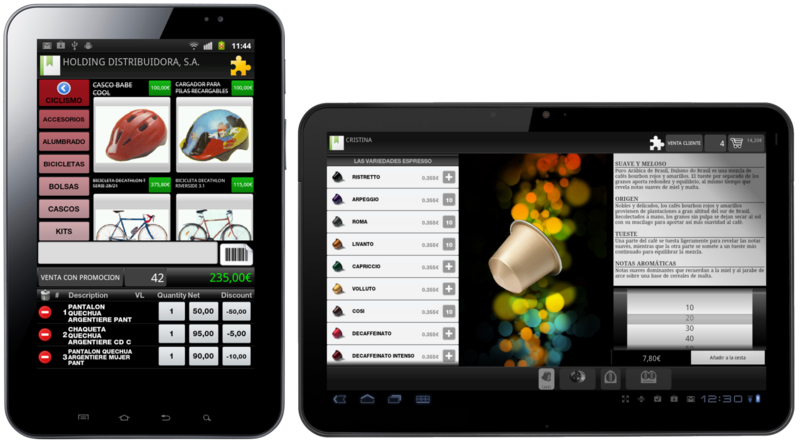 Improving the customer’s knowledge through loyalty schemes, consequently allowing the organization to put their goals in focus. Enhance the supply chain and flow with providers, thanks to access to centralized and reliable information. Raise the level of interaction with the customer with the ability to be right by their side. Optimization of the sales cycle and reduction of wait times. The mobility of the POS throughout the store and even outside it (transferring the sale to the customer’s door). Secure information regarding product stock level at the central store or other outlets. Record of interactions with a specific customer, enabling a reliable response regarding the status of a process (repairs, reservations, refunds).